← Our God is an Awesome God!!! We arrived for surgery at 9:30am but he didn’t actually go back until a little before 3:00pm. The surgery was five and a half hours total. Dr. Paley removed all 7 screws and the zip tight, then performed a reshaping osteotomy. He talked to us after phase one and explained that the three screws from the hip fracture surgery (2/16/13) had backed and was shredding his cartilage. He said he would take an X-ray and determine if he wanted the external fixator or not. He came out 20 minutes later and said, ‘we are done – no external fixator’. He has placed Christopher on the constant passive motion (cpm) machine for the next five days 24/7. He cannot get out of bed during this time. Dr. Paley said the cartilage can grow back with constant motion and he is aggressively treating Christopher while in the hospital and on an epidural. The pain would be immense without the pain medications. He said youth was on his side to rebuild the cartilage. He said the femoral head looked good and he couldn’t be more happy. Praise the Lord!!! 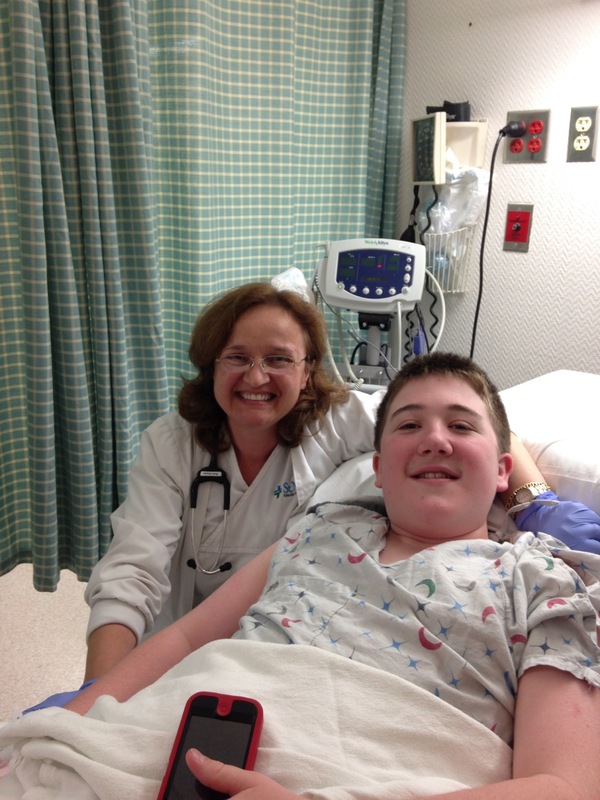 Christopher lost a fair amount of blood during the dislocation surgery. They have something new here at St. Mary’s Children’s Hospital the orthopat machine. It takes his own blood and cleans it, then they give him back his super blood. He didn’t need donor blood today because it worked so well. He does have a high fever but we hope that will disappear soon. We can feel God’s presence during this journey. He is bigger than Perthes and he is going to heal our sweet CMAC completely this time!!! All the glory goes to Him!!! 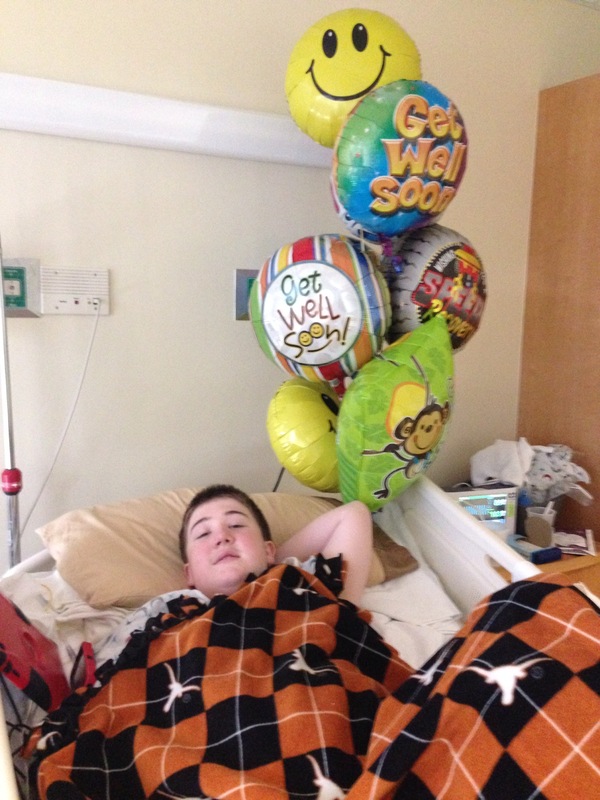 You can send Christopher a note of encouragement or well wishes while in the hospital. Here’s the link – http://www.stmarysmc.com/en-US/cwsapps/CheerCards/Default.aspx?language=en-US . This entry was posted in Hip Surgery #8, Perthes, Post-Op and tagged bone stem cell grafting, Bone Stem graft, Dr. Dror Paley, Dr. Paley, head reduction osteotomy, head splitting osteotomy, Legg-Calve Perthes Disease, Legg-Calve-Perthes, Paley Institute, St. Mary's Children Hospital, West Palm Beach. Bookmark the permalink.